The benefits of cinnamon ( Cinnamomum verum ) have been used as a spice herb for cooking. This spice is very unique because it uses the skin of the trunk of the cinnamon tree. Various kinds of cuisine in many countries are utilizing cinnamon for cooking seasoning. There are several types of cinnamon used throughout the world, namely Ceylon cinnamon, cassia, and Saigon. Type Ceylon tastes more sweet and soft and has a light brown color. Cinnamon type cassia dark brown color tends to dark, harder and taste less sweet. And Saigon is cinnamon from the cassia family, but slightly sweeter and expensive. A number of studies show that cinnamon can regulate blood sugar, making it a great choice for diabetics and hypoglycemics. And is good news for anyone who wants to boost energy to be more stable. Reduces LDL cholesterol levels. LDL is also known as dangerous cholesterol. Reducing LDL cholesterol may help reduce the risk of cardiovascular disease. Cinnamon has a natural anti-infective compound found in the study. Cinnamon is effective against H. pylori ie bacteria that cause ulcers or ulcers and other pathogens. Reduce the pain associated with arthritis, which has been shown in a study at the Department of Internal Medicine, Korean Kangnam Hospital. Cinnamon is used for reducing cytokines associated with rheumatic pain. Cinnamon contains a natural chemical called cinnamaldehyde, which, according to research, raises the hormone progesterone and lowers the production of testosterone in women, thus helping to balance hormones that affect fertility. Research at the University of Texas, published in the journal Nutrition and Cancer, shows that cinnamon can reduce the proliferation of cancer cells and for cancer prevention. Cinnamon offers treatments for various neurodegenerative diseases, including Alzheimer's disease, Parkinson's disease, multiple sclerosis, brain tumors, and meningitis, according to a study at the Cytokine Research Laboratory, Department of Experimental Therapeutics, The University of Texas. 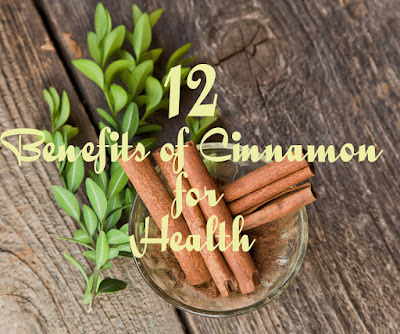 Their research shows that cinnamon reduces chronic inflammation associated with this neurological disorder. Indian medicinal plant research revealed that cinnamon could potentially be effective against HIV4. According to the study authors, "the most effective extracts against HIV-1 and HIV-2 are respectively cinnamon (bark) and Cardiospermum helicacabum. Smelling cinnamon is known to increase brain activity. whfoods.com also explains that the smell of cinnamon can improve a person's cognitive process and helps in concentrating, remembering, and speeding work on computer programs. Cinnamaldehyde, oil produced by cinnamon can prevent blood to clot. Based on whfoods.com, cinnamon secretes an anti-inflammatory fatty acid called arachidonic. These fatty acids then reduce inflammation and blood clots. Cinnamon is commonly used in traditional Chinese medicine in people with fever or influenza. This is because cinnamon contains substances that make the body warmer and more comfortable. In the evaluation of 122 Chinese herbs for the reduction of uric acid levels, cassia cinnamon extract is the most effective for suppressing enzymes that cause the production of uric acid. Combined honey and cinnamon can relieve arthritis pain. Also read: Various Licorice Benefits for Health and Its Side Effects.